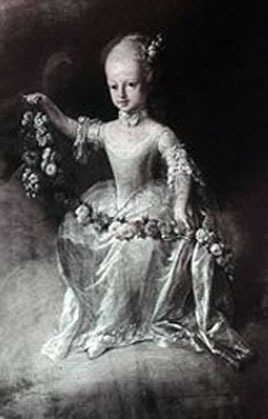 On 5 February 1737, Maria Theresa gave birth to her first child, named Maria Elisabeth. 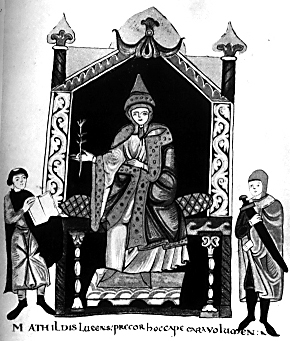 The birth of a daughter was a great disappointment as a son and heir would have solidified her mother’s position as heiress to the Habsburg lands. Despite this, she was a lively child and a favourite of her grandfather the Emperor Charles VI. He nicknamed her Liesl. At eight o’clock I was summoned and handed over to me a letter of the doctor, from which I deduced that it is time to take my wife away, for the child will not live longer. I walked away a little confused, and found my wife completely burst in tears when I arrived. I took them by the hand and took them to her apartments. Then I went back with the sick child. I had only been for a while when she sat up, looked at me, and said with a clear voice, “I command myself, O my God!“. Then she fell back and died in my arms. She was buried in the Imperial Crypt in Vienna. A younger sister would later be named after her.